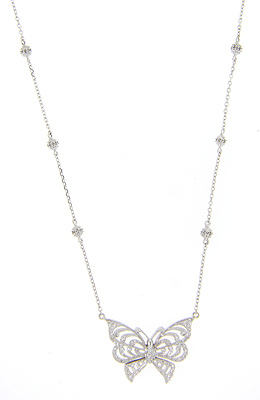 A diamond studded butterfly rests at the bottom of this 19” 14K white gold antique style necklace. The butterfly measures 1 1/2” b 1”. 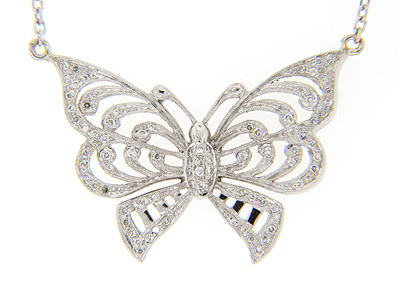 Three diamond encrusted orbs are spaced at intervals on the chain on either side of the butterfly.